SOLD in JUST 5 Days for 98% of LIST PRICE! The whole package! Fabulous 1-bdrm north/east/south corner suite offers a beautiful city skyline view, an exceptionally spacious functional layout & tasteful updates, but still room here to renovate & add value. Updates incl. fresh paint,newer laminate flrs, new front-loading washer/dryer & stainless dishwasher. 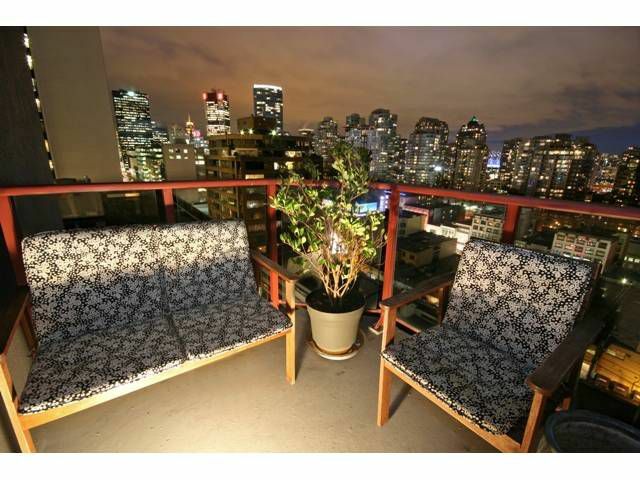 Unit comes complete w/large outdoor balcony, insuite laundry, secure parking & storage locker. Amenities incl. great gym, rec room & sauna. PETS & RENTALS allowed. Terrific building maintenance program w/recent improvements incl new roof, exterior paint & window caulking. Together with an unbeatable location & low strata fees, this is a perfect fit for the 1st time buyer, investor, or pied-a-terre. Visit Realtor's website for additional photos and 2D & 3D Floor Plans. OPEN HOUSE CANCELLED.